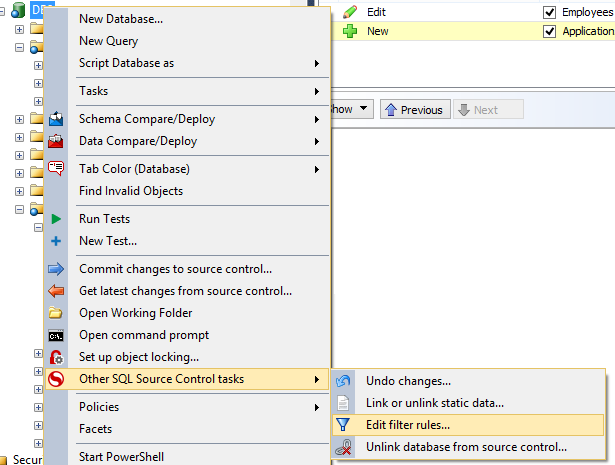 We have two machines, with two SQL Server instances installed on each one. Both computers are connected to the same remote source control store. The first developer (let’s call him Mike) adds SQL Server users (sql authentication), while the second one (Alex) uses the Windows integrated security. These two developers often need to add permission to their users. Assume that users are not member of the sysadmin role. After the checkin of this changeset, what happens when the developers will get the latest source control version of the database? 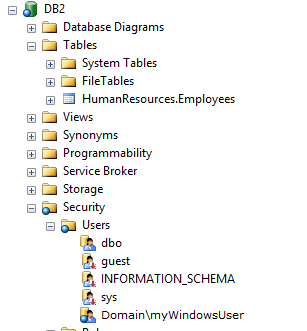 When the developers are ready to deploy the changesets, “myDatabaseUser” and “myWindowsUser” users will be in the package. this can be dangerous for the target environment (and also wrong). Like when getting the latest versions from the source control, thew deployment process will try to apply users to the test/staging/production environment. How to manage this trouble? Both the described scenario have near the same issues. 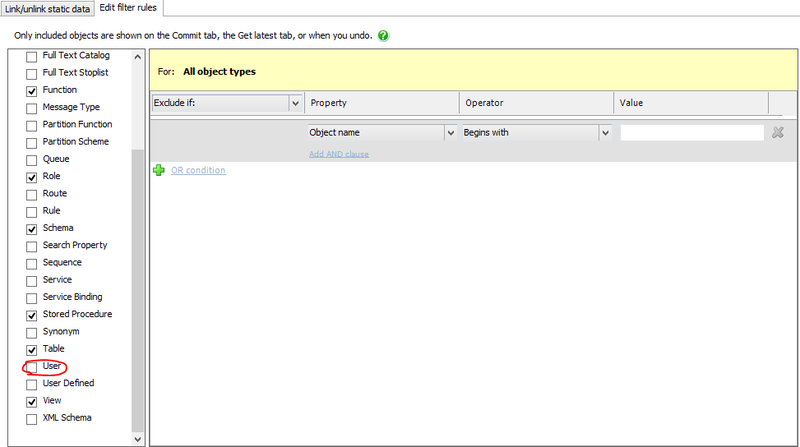 However, the development is slowed down while the deployment environment can be broken. Here is how we can solve this problem. 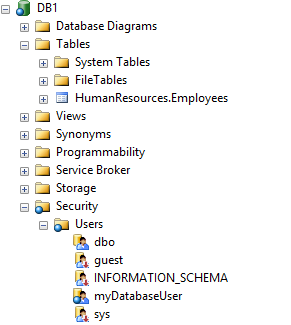 We are near to the end, but, as we can see, the “myDatabaseUser” is involved in the change, and we want to avoid this. Cool! The user is not shown anymore. 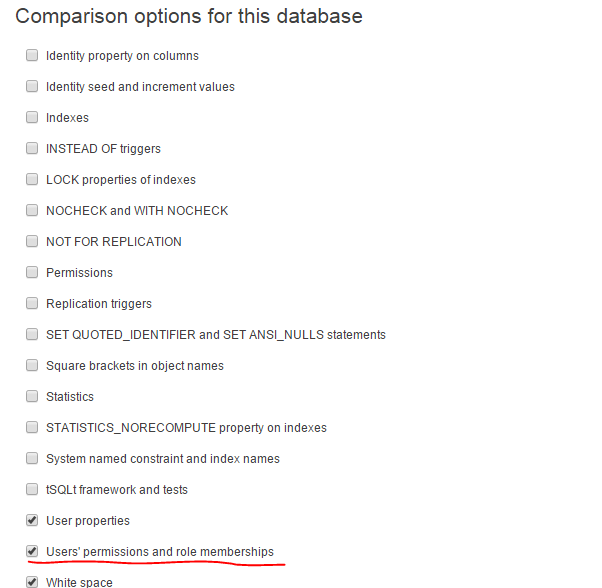 However, it’s still possible to add users manually on the database. Alex and Mike will remove the “User” check, and they will save the change and check in just the filter. After this, they will not see any user in their changeset. This entry was posted in ALM, DLM, Microsoft, Red-Gate, Source Control, SQL, SQL Server, SQL Server 2008, SQL Server 2012, SQL Server 2014, SQL Server 2016, t-sql, Tricks, Uncategorized and tagged ALM, DLM, Microsoft, red-gate, Source control, SQL, SQL Server, sql server 2016, SQL Server Management Studio, SQLServer, SQLServer 2008, SQLServer 2012, SSMS, T-SQL, Third party. Bookmark the permalink.